The Mau Maus will be performing a free show at Permanent Records in Eagle Rock, California on Saturday June 30th at 6pm. 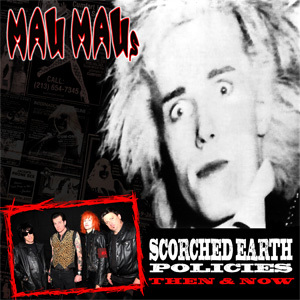 Come on down and catch the set and pick up a copy of “Scorched Earth Policies: Then & Now”. If you already have a copy, bring it down to get it signed, the address and phone is 1583 Colorado Blvd Los Angeles, CA 90041 (323) 739-6141.